Rhinoplasty Thailand is one of the most popular surgical procedures for men and women to reshape thier nose. Clients choose to have Rhinoplasty Thailand for many reasons including surgeon expertise, price,private aesthetic goals or reconstructive purposes (to correct birth defects or breathing problems). Depending on the patient’s desired effect, the outcome of surgery can be very subtle or dramatic. Many consider Rhinoplasty Thailand to be the most complex operation in plastic surgery Thailand today. Since facial structure and nasal anatomy vary greatly between different people, rhinoplasty must be individualized for each patient at Liposuction in Thailand. Our hand selected world-class plastic surgeons will enhance your nose so that it blends with your facial structure while still appearing 100% natural. Rhinoplasty Thailand – How it works? 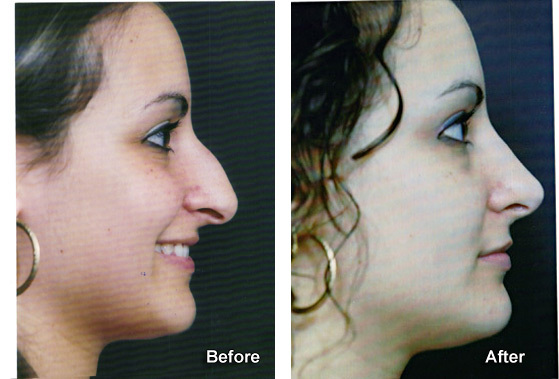 Prior to you learn how the nose reshaping procedures exactly work, and it is very important you know anatomy of nose. Framework of nose is mainly made of bone & cartilage. Upper portion of nose is been supported by bone and dorsal humps that are the areas of built cartilage and bone, will form all along dorsum, and ridge of nose. Lower portion of nose is been supported by various plates of the cartilage, which extend from center of nose, and determining shape & appearance of nasal tip. Before you undergo Rhinoplasty Thailand surgery, it is important for you to discuss any medical conditions that you have and to tell your surgeon about any medications that you are taking including any herbal or other non-prescription ones. If your surgeon decides that you can have nose surgery, discuss the procedure thoroughly with him or her before deciding if you want to go through with the procedure. Even though your surgeon says that you may does not mean that you must decide to have nose surgery. You may still change your mind even after discussing the procedure with your surgeon. The surgeon will consult with you either by email or on the phone prior to your departure to understand your requests fully, and will also detail the procedure, benefits and risks and answer any questions you have. He may require additional information from you before booking the procedure – including a photo, and a doctor’s medical report. The assessment with the surgeon will give you a detailed understanding of the treatment – the extent of surgery, your health evaluation, your expectations and exactly where the areas of the nose will be treated. When you are happy with what has been discussed, and have signed a booking form for the operation, the surgery will be booked at a date agreed. Your surgeon should be able to answer any questions that you have about nose surgeries including questions about what to expect during and after a nose surgery and the complications or problems that sometimes occur with nose surgeries. You may also take information from this website to your appointment to discuss with him. You will then have another consultation with the surgeon when you arrive in Thailand, where he will have a physical evaluation of the areas to be treated. At this appointment you and your surgeon will discuss your goals, and last queries you have and finalize the plan for surgery. From this examination, he can determine the best procedure to use, and then explain it to you in detail, including the benefits and limitations. The surgeon may also recommend a combination of the upper and lower eyelid blepharoplasty or facial implants, for a better facial profile. It is important to stress the importance of NOT smoking before your rhinoplasty Thailand procedure. Smoking can cause problems with circulation and make complications more likely, including post-operative chest procedures. Immediately after the incisions have been closed, soft puffy material may be used inside the nose to maintain the structure along the nasal air passages. Also after surgery, an external splint is applied to help the nose maintain its new shape. The splint provides some additional protection for the nose during the healing process. The external splint is typically worn for six to eight days. The nose area will be bruised and puffy after rhinoplasty Thailand surgery. This bruising may extend to the eyes and all areas of the face. If there is any discomfort after surgery, it will be lessened with medication prescribed by the surgeon. You may have some bruising and swelling for a few days to a week after the surgery, particularly around the eyes and nose. Common post-surgery instructions include a cold compress to reduce swelling, pain medication to reduce discomfort, and elevating your head for the first 24 hours. Most of the swelling and bruising should disappear after seven days. You may experience limited bleeding the first few days. Normally after a few more days, all stuffing, splints, and other post-surgical dressings are removed. There will be some internal swelling within the nose for several months, but this will not be noticeable to anyone but you and the surgeon. After the bruising and swelling subsides after the first few weeks, your new look will emerge. The result of Rhinoplasty Thailand are permanent. All surgery carries a risk, and you should be fully aware of the medical risks associated with this procedure before you consent to surgery. Liposuction in Thailand offers a free live video teleconference with your selected surgeon to discuss these risks with you during your initial consultation and before you commit. We encourage all our clients to ask questions if there is anything you do not understand. Risks and risk rates for rhinoplasty Thailand vary from patient to patient depending on a range of factors. No two people are alike. The risks listed below are possible risks associated with this type of surgery and are mentioned regardless of how remote the possibility. Temporary discomfort, Bruising around the eyes,some nose bleeding and stuffiness. Final appearance with your Rhinoplasty Thailand: 6 months to 1 year or more. Liposuction in Thailand offers our clients the complete range of Rhinoplasty Thailand & cosmetic surgery Thailand and treatments including nose jobs or Rhinoplasty thailand for men and women. Everything we do is guided by our philosophy of CLIENTS first, this means you will always be given impartial advice on the most qualified,affordable and least-invasive Rhinoplasty Thailand treatment to achieve your desired result. Please feel free to contact us if you have any questions. For a free, no-obligation quote or consultation with one of our Rhinoplasty Thailand specialists please contact us today.